#21 Menards Quaker State Ford Fusion driven by Paul Menard in 2018. #21 Motorcraft Quick Lane Ford Fusion driven by Paul Menard in 2018. 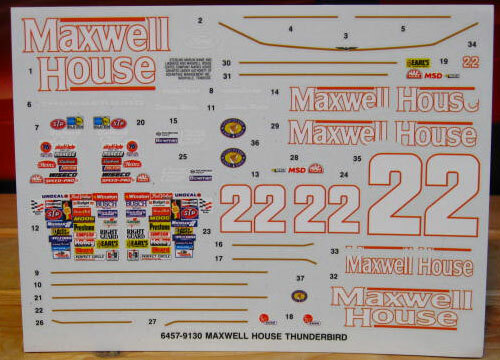 #22 Maxwell House Thunderbird driven by Sterling Marlin in the 1991 season. 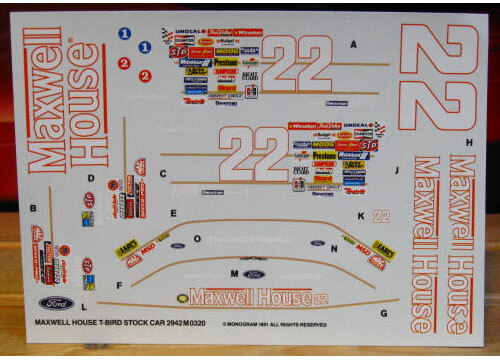 #23 Smokin Joe's Thunderbird driven by Hut Stricklin in the 1993 season. #23 Winston "No Bull" Taurus driven by Jimmy Spencer in the 1998 season. 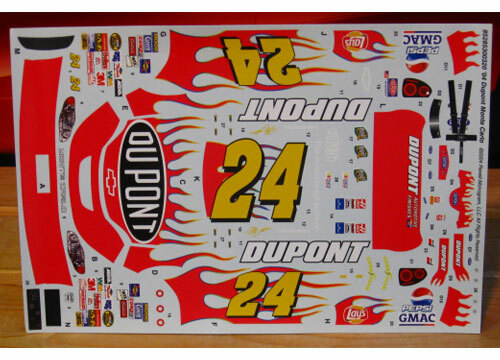 24 DuPont Monte Carlo driven by Jeff Gordon in the 1995 season. 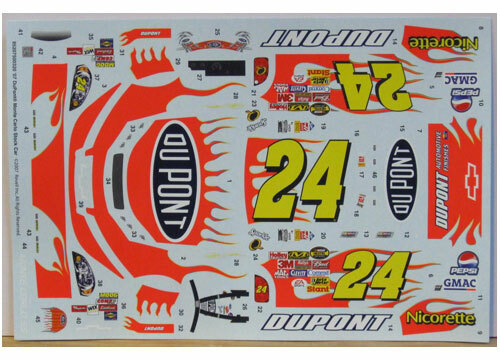 #24 Dupont Monte Carlo driven by Jeff Gordon in the 2003 season. 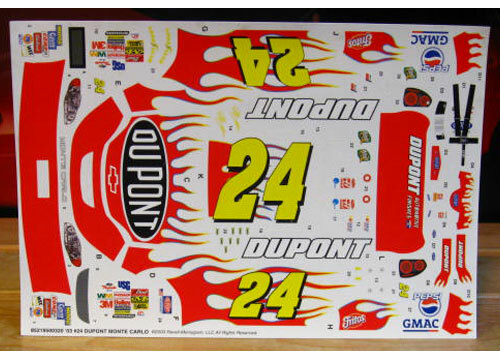 #24 Dupont Monte Carlo driven by Jeff Gordon in the 2004 season. 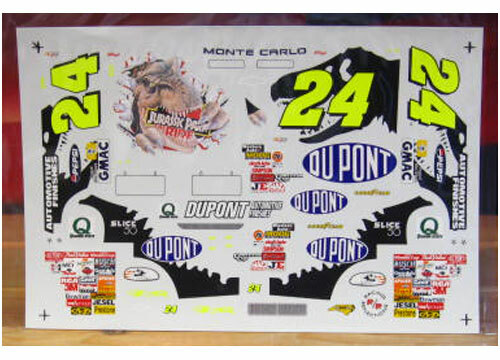 #24 DuPont Monte Carlo driven by Jeff Gordon in the 2006 season. 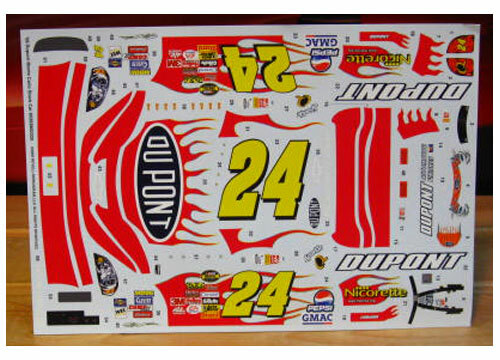 #24 DuPont Monte Carlo driven by Jeff Gordon in the 2007 season. #24 Pepsi Chevy SS driven by Jeff Gordon in 2015. 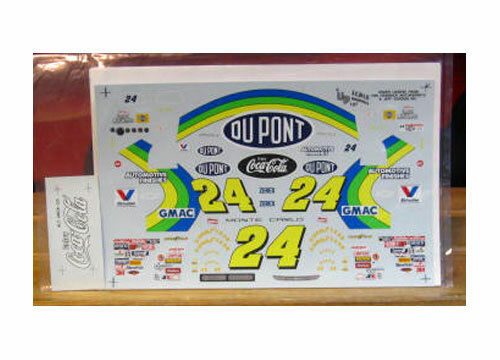 #24 Pepsi "Max it Now" Impala driven by Jeff Gordon in 2012.